Are you looking to rent a dumpster for your home or construction project? 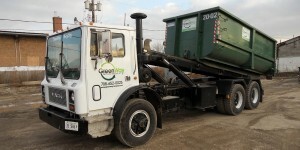 Customers choose GreenWay Recycling Services for our efficient and professional service. Our dumpster service is very convenient for remodeling, construction, landscaping, and home clean out projects. We have a number of different size roll off dumpsters ranging from 10 to 30 cubic yards. 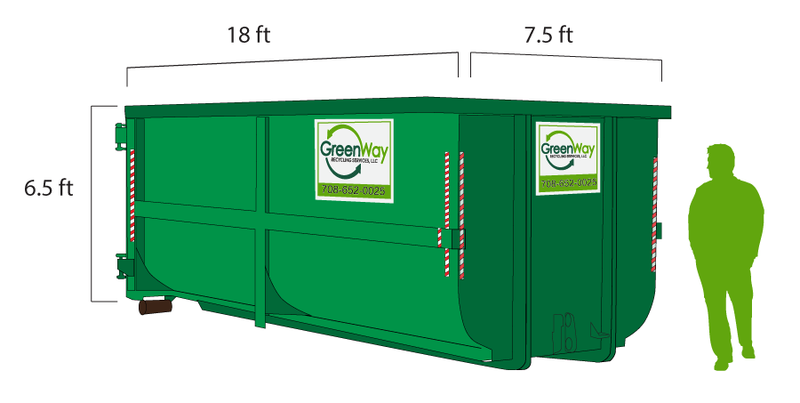 Whether your project is large or small GreenWay Recycling Services has the right size dumpster for you. A 10 cubic yard dumpster is great for smaller home remodeling projects. Are you fixing your roof or removing a deck? How about renovating a small kitchen or bathroom? This container can also be used for hauling heavy materials like concrete, brick, block, stone, and dirt. 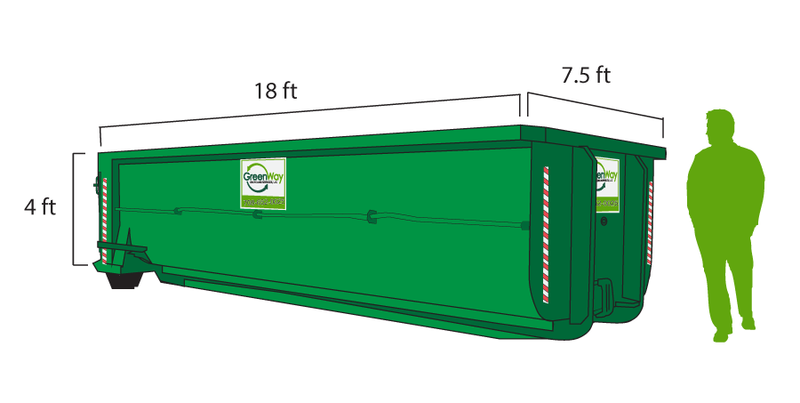 A 15 yard dumpster is a perfect size for cleaning up around your house or jobsite. Are you working on a landscaping project in your yard? Or are you replacing the flooring in your home? This is our most requested container for these types of projects. A 20 yard dumpsters are great for home renovation projects, as well as commercial cleanup projects. Is your contractor adding a room addition on your home? Are you building a new garage? How about getting a new roof? Contact us to see if this is a good option for you project. 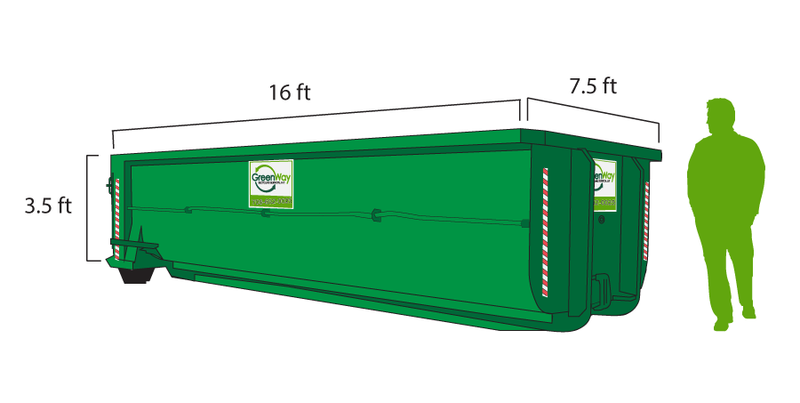 A 30 yard dumpster is a good option for larger construction projects. 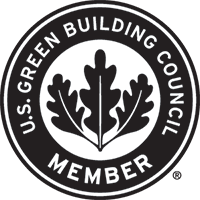 Are you building a home, commercial building, or an industrial complex? Are you renovating an existing building or cleaning out office space? Contact us so we can talk with you about your upcoming project. 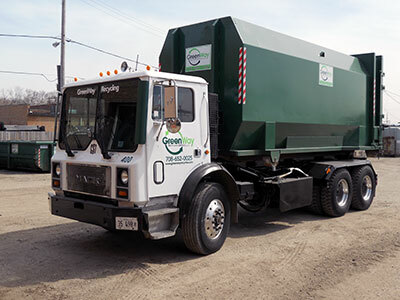 When you choose GreenWay Recycling Services all of your material will go to our state of the art material recovery facility located at 2100 S. Kilbourn Ave in Chicago. If it’s easier for you to drop off your material at our facility, we are open to the public daily. 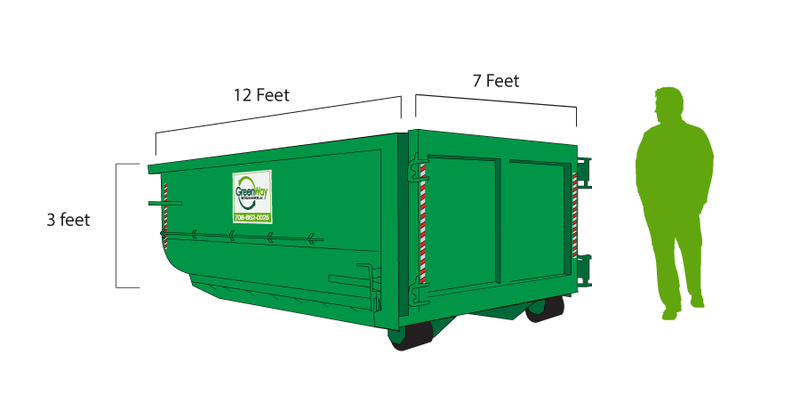 If you have any questions about what size dumpster is best for you, call us any time 773-522-0025.